As a midwifery student we appear to be in the minority when it comes to going abroad for elective placements. As we are only allocated 3 weeks including travel time the majority of students will opt to stay on their current placement or travel elsewhere in the UK. However, my friend and I decided to go abroad as we knew this would be an amazing opportunity! 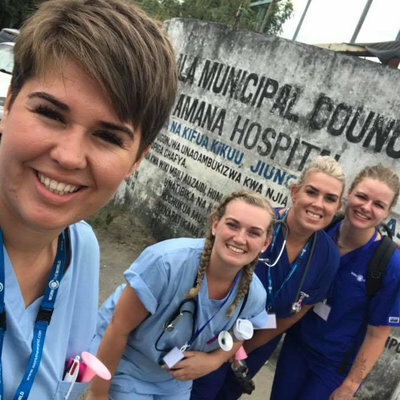 We chose Work the World as we felt we would benefit from some assistance in organising our placement, after looking through the website and discussing the various destinations available we chose Nepal! After months of planning the day finally came for us to go. We landed in Kathmandu on a Saturday afternoon which is the day of rest in Nepal so it was quieter than usual (which we found hard to believe!) After negotiating our way around the airport and various porters trying to help us with our bags we finally made it out into the heat! We stayed one night in Kathmandu which was definitely an experience, it would have been nice to have spent a couple of days there to fully experience the city but the next morning we caught our flight to Pokhara. On landing in Pokhara the temperature was noticeably higher than Kathmandu but the whole place was definitely more laid back which was nice. We were met by Sunil who was really welcoming and it was lovely to have someone to take us to the house as we were a bit overwhelmed by everything! The house is lovely, light and clean. The weekly BBQs on the rooftop are fantastic and sitting up there at night is a must. Krishna is an amazing cook and we were well fed every breakfast and dinner! There's always food in the kitchen if you want to make lunch or fancy a snack, and if you fancy eating out there are loads of restaurants and cafes on Lakeside (moondance and olive café are personal favourites!) Sunil is always on hand to ask questions and our briefing session and local orientation were really useful. But the best part was definitely living with all the other students. It was great having so many people around to chat with who are going through the same experience as you. We had plenty of nights out at busy bees and I've definitely made some lifelong friends. Our first day at the hospital was a real eye opener. Sunil took us on the local bus which only costs about 10p, and it was great travelling to work with all the locals. Then we arrived at the main regional hospital to start our placement in Obs and Gynae. It was incredibly hot (especially when you're wearing your white coat!) and ward rounds are long so make sure you take water with you. We were introduced to the head of department and the sister in charge who told us to follow the ward round. This was difficult to watch at times as the lack of time and resources mean the staff cannot always provide the level of care they would like to. However the main struggle for us was observing the lack of privacy, dignity and consent, as this is something that has been drilled into us from day one of our training. 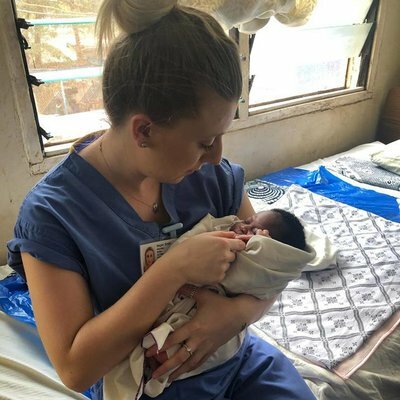 There are no sheets over the women or curtains round the beds and watching procedures such as VEs and ARMs being performed in these conditions was quite shocking. However, after we settled in we came to realise that we cannot compare their care system with ours and once we had come to terms with that our experience became much easier to undertake. Our language lessons with Prem were invaluable - as soon as we started dropping Nepali words into conversations with staff members they opened up and were much more chatty and involved us even more. The sister in charge was lovely and always able to answer our questions. They undertake 12000 deliveries per year (pretty much double what we do at our hospital at home) and these are all undertaken on 3 delivery beds in one delivery room, so you'll definitely get the chance to witness some babies being born! The more you show interest and speak to the staff the more you'll be allowed to get involved. Try and go to the twice weekly antenatal clinic where they see around 400 women. Also try and get to theatre to watch some elective caesareans which are also done twice a week; they perform a lot of classical caesareans which are interesting to see. If you have the time it's worth trying to spend some time at the private hospital to see the difference between government and private healthcare. Really, your time in Nepal will be what you make of it and the more you put in the more you'll take away. In our spare time there was plenty to do; Lakeside is great for shopping and booking activities, or having lunch. You can hire rowing boats on the lake which was lovely for an afternoon. The Tibetan refugee settlement is great for buying jewellery and honing your haggling skills! We also trekked up to the peace pagoda which was a long walk but totally worth it when you see the view (make sure you take lots of sun cream though!) We also went paragliding which was incredible, we were both really nervous before taking off but it was absolutely amazing and definitely worth doing! There is a local orphanage which always welcomes visitors. We spent two afternoons there and took along balloons and little toys and sweets which the children loved. It was a really worthwhile experience and really fun singing and dancing with them. Overall our trip to Nepal was amazing and something I'll never forget. 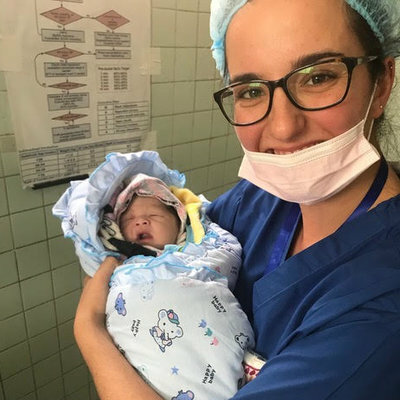 Our time in the hospital has opened my eyes to how lucky we are in the UK to have so many resources, and has made me rediscover just how amazing women are to be able to give birth! I've been really lucky to make some amazing friends, and have some incredible experiences both at placement and in my time off. Work the world were really supportive and always at the end of the phone to answer any queries. Staying in the house was fantastic and made the trip even better - I just wish my time there had been longer!